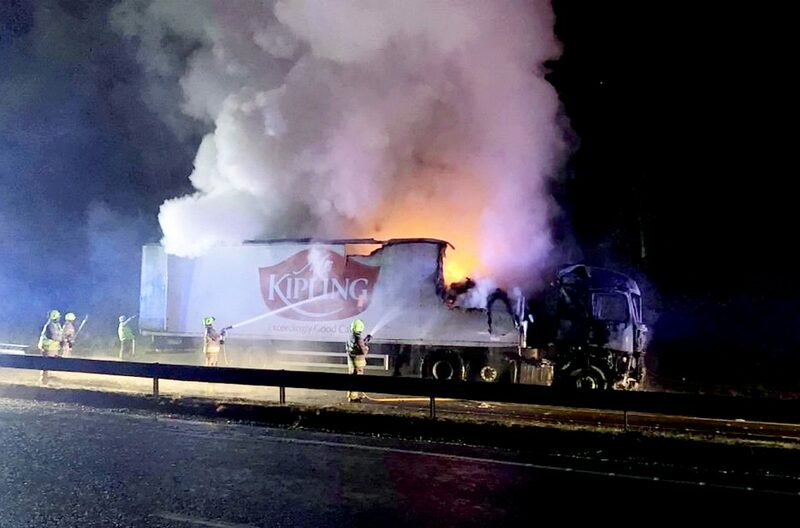 Police joked about “overdone apple pies” after tweeting pictures of a Mr Kipling lorry on fire. 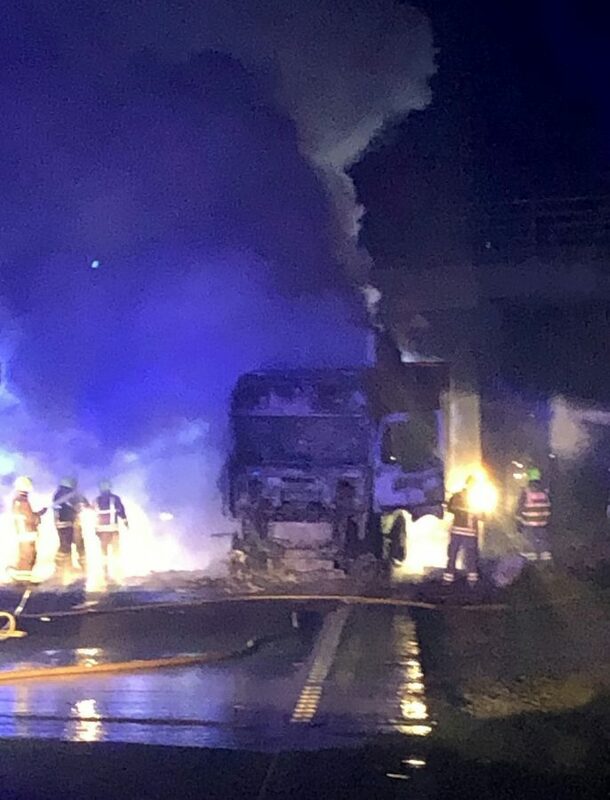 The HGV went up in flames as it travelled on the A42 dual carriageway near East Midlands Airport. No one was injured in the blaze which broke out at 8.15pm on Wednesday (30/1). The road was closed in both directions between junctions 13 and 14 while fire crews tackled the blaze. Once the fire was out the water from the firefighters had turned to ice, and gritters had to be sent to the scene. The road was eventually reopened at 10.20pm.